Last month I visited Bogotá, Colombia, a destination that’s been on my bucket list for a long time. In recent years the formerly crime-ridden and civil war-torn capital has made a remarkable turnaround: As recently detailed by Chicago magazine’s Whet Moser, Bogota has succeeded in lowering its homicide rate by more than 75 percent since 1993. During my stay in the city nicknamed the South American Athens, I was impressed by its many excellent museums, centuries-old Spanish Colonial architecture, and impressive Andean setting, as well as the hospitality of its residents. And while riding taxis through Bogotá’s clogged streets was a frustrating experience, the city now also has a global reputation for progressive transportation policies, including ideas that Chicago would be wise to imitate. 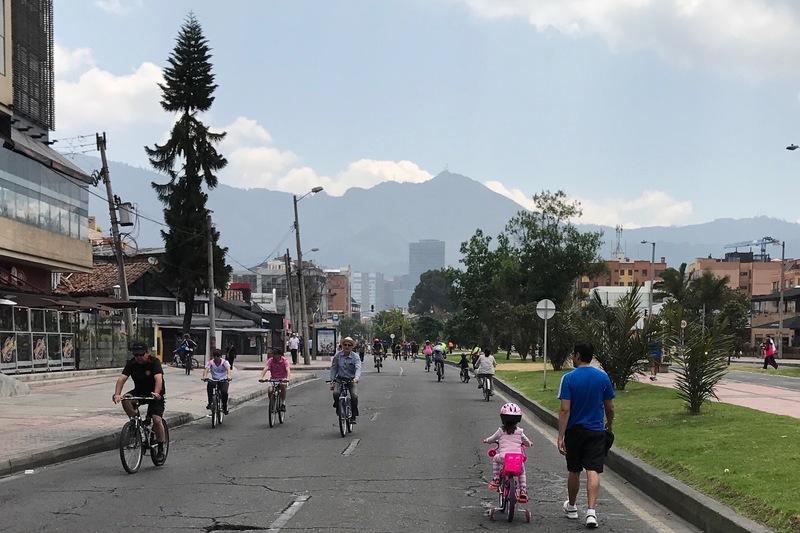 Specifically, the extensive TransMilenio bus rapid transit system and the Sunday Ciclovía or “cycleway” program, which opens a roughly 75-mile network of streets for car-free recreation and draws some two million people each week. Progressive mayor Enrique Peñalosa launched TransMilenio in 2000 to combat traffic congestion and make it easier for low-income people to access jobs. The system includes 12 bus lines with 70 miles of dedicated lanes, serving 147 subway-style stations and carrying up to 2.2 million passengers a day. Peñalosa also greatly expanded the Ciclovía, which started out as a grassroots event staged by bike aficionados and has since spread to dozens of other cities around Latin America and the U.S. These Bogotá initiatives have inspired Chicago transportation advocates since 2001, when Peñalosa gave a talk at a sustainable transportation symposiumhere. But Chicago still has a ways to go to fully realize the vision already being implemented in Bogotá. 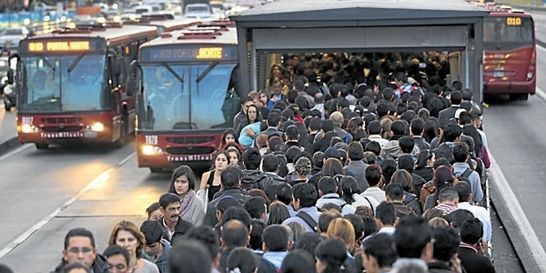 When I rode TransMilenio during my Bogotá visit, I was wowed by the system’s efficiency. Unlike Chicago’s downtown Loop Link corridor, TransMilenio features prepaid boarding and extralong buses with multiple doors, which means there’s little “dwell time” at the stations, and there are curbs to keep private vehicles out of the bus-only lanes. Although I’m told conditions during rush hour are beyond sardinelike, TransMilenio makes a strong argument for following through withChicago’s plan for robust BRT on Ashland Avenue. That proposal was back-burnered a few years ago after fierce opposition from residents and merchants who feared reallocating street space from autos to buses would lead to carmageddon. I was also impressed by the Sunday Ciclovía. My partner and I biked part of the route with Carlosfelipe Pardo, director of Despacio, or “Slowly,” an organization that promotes livable cities. We rode down a series of multilane thoroughfares where car traffic had been banished to the other side of a grassy median. Cyclists of all ages and proclivities—from families with kids in baby seats and on training wheels to middle-aged roadies in Lycra to youthful seniors on vintage cruisers—made their way down the boulevard. Although each Ciclovía requires a significant investment in traffic control by the city, Pardo says the expense is worth it. Between 2008 and 2013, Active Trans tried to establish a regularly occurring Ciclovía in Chicago called Open Streets. Unfortunately, since City Hall declined to help fund and organize the event, the advocacy group was forced to raise hundreds of thousands of dollars to pay for the program. Most of that money went towards paying the police officers and traffic control aides the city required. The sporadic events never had a chance to catch on with residents, so Active Trans finally gave up on the idea three years ago. Transportation planners and advocates on the Ciclovía route, including Carlosfelipe Pardo and Andrés Felipe Vergara, third and fourth from left. While political support from the city government has been key to the success of Bogotá’s Ciclovía, that doesn’t mean the event has been free of controversy. During our ride Pardo and I met up with a group of local transportation planners and advocates, including Andrés Felipe Vergara, who works in the city’s office of mobility. Vergara told me that, back in 2007, a local congressman wanted to change the Ciclovía times so that cars could take over the streets again by noon and he could drive to his club for lunch in peace. Vergara was supposed to testify against the politician’s proposal at a congressional hearing. But before he had a chance, the congressman dropped dead from a heart attack in the middle his tirade. There’s also another political battle brewing over expanding TransMilenio. The system is currently too popular for its own good, Vergara told me, resulting in the aforementioned claustrophobic rush-hour conditions. The city hopes to alleviate congestion and grow the bus network to about 240 miles of dedicated lanes by 2031. Although TransMilenio is especially beneficial for working people, much of the opposition to reallocating roadway space comes from lower-income residents who moved to Bogotá within the last 15 years after fleeing Colombia’s civil war, according to Vergara. That sounds a lot like the Ashland Avenue stalemate. But a major lesson from Bogotá’s past successes with bus rapid transit and the Ciclovía seems to be that, when it comes to making positive improvements to a city, fortune favors the bold. You gotta be kidding me… Transmilenio is the worst thing could ever happen to this city. Sounds like propaganda this article. Could the critics of Transmelenio provide a little more information on what their complaints are about, and why it wouldn’t benefit Chicago? “TransMilenio is the worst thing could ever happen to this city.” How do you figure? Bogotá-style extreme crowding isn’t currently an issue on the ‘L’, so it’s unlikely it would be a problem on fast bus lines. This column is very imprecise and vague, perhaps because the author visited Bogotá as a guided tourist and didn`t meet the day to day living of most Bogota’s inhabitants. Transmilenio is collapsed, too expensive for the average wage , in rush hours is very slow, insecure and overcrowded, (that’s one of the reasons because people prefers bicycle) and has been proven to be an inadequate and insufficient transport system for the city. The system’s satisfaction index is surprisingly low (15%) and even the vast majority of the citizens wants to revoke the mayor’s election (78% of citizens reports a strongly negative view of peñalosa’s government ) mainly because he’s imposing to build more Transmilenio over other transport systems like trains and metro. That’s ridiculous. For a fair comparison, you would need to go to mobility in Bogotá in 1999. And check the system’s popularity numbers since it’s foundation, going back 17 years. Transmilenio was very popular and efficient back then. The reality is simple. And you need to understand it. Bogota lacks a public transportation system that goes in accordance to its very significant size. The city has significantly outgrown the current transportation infrastructure available, let it be BRT, rail or highway systems, mainly because -out of both corruption and lack of careful planning- not enough infrastructure was introduced to keep up with the growth in population and with the ever increasing number of cars in the streets. People in Bogotá feel frustrated, and keep claiming that their -actually cheaper and faster to make- BRT system, is to blame for their woes. But they’re wrong. Any solution, let it be other Metro, BRT and highway corridors (Or a combination of them, such as the ones the current mayor is pursuing), will significantly diminish their transportation woes. As mentioned below, there is a simple explication for the currently very bad public perception on Bogota’s transportation system. Bogotá’s public transportation system hasn’t keep up with the city’s growth, to the point that most BRT corridors are collapsing in rush hour. However, that doesn’t imply that the BRT is inherently broken or inneficient, but rather than infrastructure expenditure in new mass transportation corridors has been subpar over the last decade. The solution for Bogotá’s public transportation system lies in building new infrastructure, period. Across the board and across the most critical rush-hour hotspots. That can be done anyway imaginable, let it be through BRT, Metro, railways and traditional highways. Yes you are right, BRT’s are not bad at all when they are integrated with other systems, but when a city with more of 8 million people has a fast bus line as the one and only mode of massive transport, just because the mayor doesn’t want to implement additional transport systems due to he’s insisting in proclaiming himself as the “inventor” of fast buses lines, and Bogota is his business card, a big problem arises. Mayor peñalosa is a declared enemy of trains and metros and sadly Transmilenio’s capacity falls far short of the demand expected. 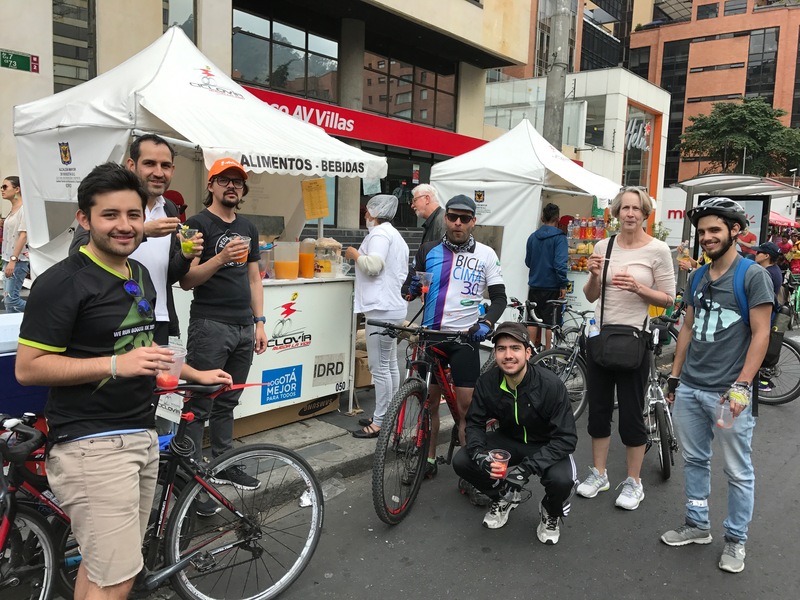 “This column is very imprecise and vague, perhaps because the author visited Bogotá as a guided tourist and didn`t meet the day to day living of most Bogota’s inhabitants.” The only time I was guided during my visit was during the Ciclovía. I used TransMilenio independently and found it to be fairly user-friendly, although the sheer number of different buses makes it a little confusing if you don’t know your itinerary in advance. Like I said, I didn’t use the system during rush hour when, by all accounts, it’s unpleasant to use. This doesn’t seem to be due to an inherent flaw in the system, but rather because in recently years there hasn’t been enough investment in the network to meet ridership demand. If the city can afford it, building rail transit lines would be great. If that’s not an option, it seems like expanding TransMilenio would help alleviate some of the crowding problems. Bogota’s mayor is constantly question about ethical positions, maybe is not that bad, is up to the reader. Diesel buses proposed by the mayor who once traveled the world sponsored by Volvo. It is well-known and documented, since his first term as mayor 1998-2000, how the building sector fuels and backup his campaigns and proposals jeopardizing low-income population (which he despises by the way) and areas with high environmental concern as wetlands. Just because he promotes bicycles it does not mean he is a proper urban planner. He is from the obsolete school who thinks “painting in green” (his words) with plazas and trees is just enough to sustain a city in disregard of simple and basic concepts from geography, sociology, ecology even architecture that in modern urban planning are structured as foundational to move the city to a sustainable state. He doesn’t accept critics or questionings about the facts he base his proposals which some seems to has serious flaws on its technical base. Even worse, he doesn’t take into account the opinion from well-respected researchers from academia, NGO’s or anyone close to science. Please excuse me for my hard words about your article, you are right, but please understand my discomfort when I read the title, we are suffering here with those Fast Line Buses. As you said, the system by itself is good and has been a helpful solution for many cities, (when is integrated with other systems). The problem with Bogota is that the city – with the help of the nation – has the means and the money to build, besides Transmilenio, other transport options like rail transit lines, perhaps not complex subways lines, but the Mayor Peñalosa cancelled all those projects (even one of them was already designed and financed by the nation), just because, as I said, Transmilenio and Bogotá are his business card to give lectures around the world about sustainable transport and the benefits of BRTs, so he’s against any other system that could overshadow his “invention”. Even he announced that he wish to pave all the railroads to mount Transmilenio there. Sorry for my english and i’m glad you enjoyed visiting us. 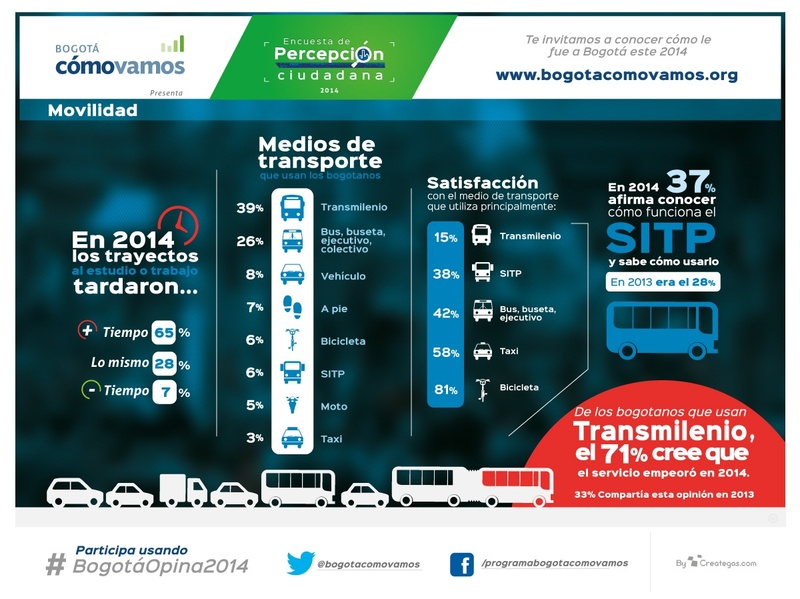 Most of citizens in Bogota hate Transmilenio. That would be the best lesson. So what I am hearing people say is the Transmilenio is so busy no one uses it. Transmilenio has to support the equivalent of the entire L system on its routes which, although “gold” standard BRT, are at-grade and limited in capacity. What Chicago won’t benefit from is any BRT routing that has to run these insanely high frequencies to support ridership, because US labor costs are far more expensive than South America’s. But that’s not as applicable to Ashland. What is applicable regardless of service level is the capital improvements, including prepaid, multi-door boarding, TSP and bus lanes. The Peruvian capital is far from a transportation paradise, but it still has a few good biking and transit features that Chicago should emulate.